Many people like the nostalgia or the look of an old or century home. So I will talk about old 30+ and century homes 90+ years since being built. First we will talk about the pitfalls of 30+ year old homes. We will start at the top, many of these homes had only 3/8 plywood on the roof and this is often where the waviness comes from in this age of a home. Snow load and ventilation also play a part in the waviness observed in a roof. There can also be more severe implications like a broken rafter or truss which will give a definitive dip in the roof. Drainage – not always the best so have a look does the property grade into the house or away from the house…you want the later of the two. Foundations – Usually block or concrete but can be made of wood (PWF) depending on where you live. Block in my opinion, is porous and can allow moisture to penetrate easier then concrete. Concrete can leak as well from cracks, cold joints or commonly from the concrete form ties. Both foundations can leak at the footings but usually as a result of block or missing weeping tiles. Electrical – Remember when you buy an older home you inherit every wanna be handyman that lived there. Many things are not visible to a home inspector as they are behind walls or ceilings. You could have aluminum wire, I don’t have an issue with aluminum wire as long as it is maintained, but some insurance companies will have an issue. Make sure there is room for expansion in the main panel for items that may not be in the home like central air conditioning, a hot tub a swimming pool. If you have to upgrade your service don’t go from 60 amps to 100 or 125 amps go straight to 200 amps, it might cost you some more at time of installation but save you money down the road. When you are getting a service upgrade get a large circuit panel, my choice Cutler Hammer. Interior wall and floor finishes may contain asbestos, lead and other harmful products. They can be found in wall coverings, caulking, vinyl flooring, ceiling tiles, floor tiles drywall. drywall joint compound to name a few. Plumbing – Copper, Pex, Galvanize or polybutyl plumbing can all be found in a home. Basically three types of materials that insurers have issues with galvanize (clogging and leaking) polybutyl (PB) poor connections and bursting and Kitec Pex bursting and leaking at the joints. Home buying tips for a century home are more specific and I can`t name them all. Again start at the top the roof, is there a sag from one end to the other like a saddle. Roofing material can be metal, clay, rolled roofing (flat roofs), shingles or wood shakes to name a few, all have there issues in my opinion. Exterior can be cedar shakes, insulbrick, board and batten, brick, aluminum or vinyl siding, wood siding, cement stucco or John Mansfield siding (can be an insurance issue here as JM has been known to contain asbestos. Interior – walls and floors you can be certain that there was something there originally that is not good for you. If there was ever a boiler you probably assume that the pipes were wrapped with asbestos even oil furnace pipes were sometimes wrapped with asbestos. Scary, not really there is a fix for almost every situation and a good home inspector can save you thousands or hundreds of thousands of dollars, so please don`t get Uncle John to do your inspection. Plumbing – Could be anything you can imagine, galvanize, copper, Polybutyl, CPVC even garden hose. Structure – wow how hard is it to know how much load a tapered log can take? Inspectors are not structural engineers but they will call your attention to get one if something doesn’t look right to them. Call that the experience factor, a big part of what you pay for in an inspector. There are lots of really good inspectors but, lots of duds. Hopefully licensing will help correct that problem. 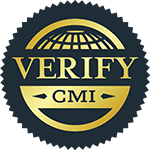 Look for this logo a symbol recognized across Canada – Certified Canadian Home Inspector – CCHI a higher standard of inspection!